The amount of time people spend sleeping may affect their weight, study results suggest. The study looked at people living in rural areas. Previous studies conducted in urban and suburban areas have had similar results, which suggests that sleep loss may play a role in the increasing rates of obesity in the US. Researchers have proposed that shorter sleep duration may affect levels of two weight-control hormones: reduced levels of leptin, a hormone associated with satiety, and increased levels of ghrelin, associated with hunger. Dr. Neal D. Kohatsu, an epidemiologist at the California Department of Health Services in Sacramento, and his associates were interested in studying rural populations because obesity rates are higher and lifestyle patterns of nutrition, physical activity, work hours, and sleep differ from those in more populous areas. 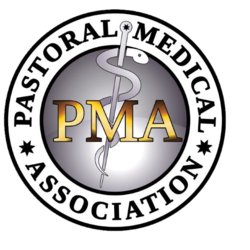 According to the researchers’ report in the Archives of internal Medicine, theirs is the first study evaluating the relationship between sleep duration and body mass index (BMI) in rural settings. BMI reflects weight in relation to height, with 20-25 classified as normal, 25-30 as overweight, and over 30 as obese. The team analyzed data collected in an agricultural county in southeastern Iowa, from a survey of a random sample of 990 employed adults. The subjects were asked about sleep duration, physical activity associated with employment, symptoms of depression, alcohol consumption, snoring, and other demographic information. Height and weight were measured during the same visit. There was a straight-line relationship between a higher BMI and lesser amount of sleep. The average BMI ranged from 30.24 among individuals sleeping less than 6 hours per night, to 28.25 for those who slept more than 9 hours at a time. Dr. Keith and Laurie Nemec’s comments on obesity linked too little sleep. In this study the researchers found two weight control hormones, leptin and ghrelin, were associated with shorter sleep and may affect weight gain. What the research showed was people that slept an average of 6 hours or less a night, tended to have a much higher body mass index than people that got more hours, 9 hours or more. So it is very important to understand how does this all work? Yes, less sleep can cause weight gain; it can also lead to a weakened immune system, increased cancer risk, increased heart disease risk, and increased auto immune disease risk. The key situation is when you do not get enough sleep, and enough sleep means as close to 9.5 hours as you can, but most critically at least 3.5 to 4 of those hours before midnight. This is what the body needs to balance balance the thyroid and the entire hormonal system. As this study showed what happens is, certain hormones goes out of balance, the leptin, which is associated with fullness and the ghrelin, which is associated with hunger, again these are part of the hormonal system. But, melatonin which is secreted by the pineal gland, this has to do with immunity, this also has to do with health, this is affected with sleep. The next one is pituitary, your master hormone gland, this is affected by sleep. And most critically your next one, your thyroid gland, is the one that is most critically affected by sleep after the melatonin secreted by the pineal gland. So your thyroid gland is your gland of metabolism. If your sleep is off, your metabolism will be off. In most cases, it will slow down and if your metabolism slows down, you much more easily gain weight. So, one of the best ways to keep in the highest level of immune health, total body health, total emotional health, total mental health, is to get that 9.5 hours of sleep with at least 3.5 to 4 before midnight. Because remember, the 3.5 to 4 before midnight has a double affect on the body, a double affect. So what are you going to do? 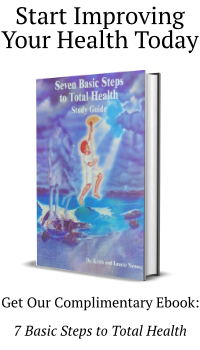 You want to live the Seven Basic Steps to Total Health each and every day of your life. One of them is sleep which we have talked about. But there are six other very important steps that will help you maintain the ideal body weight or gain or regain your total health of body, mind and emotions.